Retailers continue to prepare for the Christmas and do everything to catch customers’ attention: open new concept stores, make giveaways, gather personal data to surprise customers with individual offers. But nobody denies that all this would be not possible without different tech solutions. We know that too, so this time we’ve gathered all the inspiring examples of how retailers launch new app features and use technologies in stores. Also, we’ve found some interesting opinions on technology trends in 2018. What do we expect from the next year? Entrepreneur India gives us their view on technology trends. So, check out these points and tell us are you agree or not. As Tony Scherba says: “The mall of 2020 will offer a digitally connected, physical, and immersive shopping experience. The technology to do it already exists; malls just need to embrace it. If they do, their renaissance is just around the corner”. The fast-fashion powerhouse now features self-service kiosks that allow shoppers to retrieve their online orders. Two machines are being tested at a store in Spain, according to Business Insider. Unlike the huge orange kiosks positioned at Walmart store entrances, Zara’s kiosks align with the store’s decor — they have a sleek white exterior and a modular design that can be customized, and even hidden behind a wall. The machine can also hold about 4,000 packages — which is double what Walmart’s pickup towers can hold, the report said. While the technology is only being tested in one store, it may be rolled out to more locations soon. The IKEA and Sonos collaboration is a part of IKEA Home Smart. 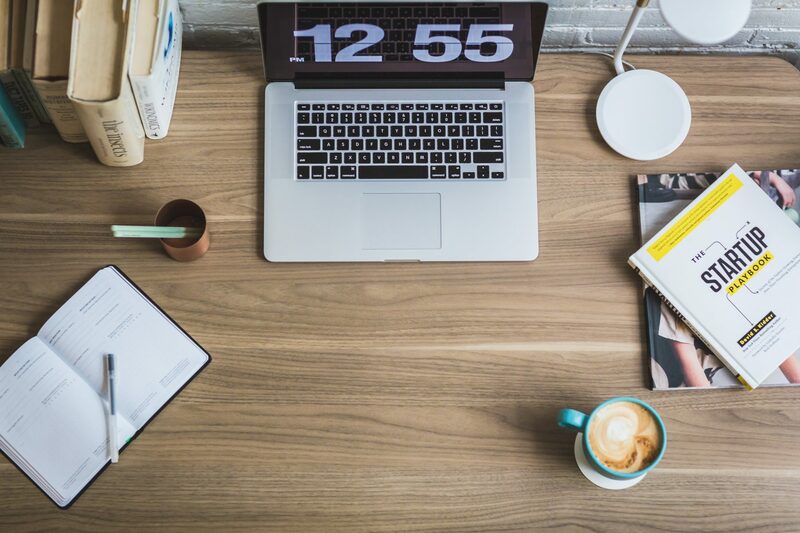 The journey of the smart home at IKEA began with the launch of wireless charging products for mobile phones 2015, followed by smart lighting launched in 2016. The exploration of sound is the third step for IKEA Home Smart. Louis Vuitton has become the latest luxury brand to embrace the chatbot trend, launching the LV Virtual Advisor chatbot on Facebook Messenger, using artificial intelligence-based chatbot technology from mode.ai. For now, Virtual Advisor is available only to U.S. customers, but eventually may be available in Europe and Japan, and on messaging platforms other than Facebook Messenger. The David Yurman Gifting Bot allows customers to shop gift guides through the Facebook Messenger interface and select gifts for men and women or themselves. In addition, customers can locate nearby David Yurman stores and contact customer care specialists. NYX Professional Makeup is partnering with Samsung for an in-store virtual reality experience, according to a company press release. NYX said it will use Samsung’s Gear VR Controller technology, which is powered by Facebook’s Oculus platform, to create virtual makeup tutorials. The “Impossibly NYX Professional Makeup” experience, as it’s been dubbed, gives customers access to three makeup tutorials led by video bloggers Kristen Leanne, Mykie (or “Glam & Gore”) and Karen Sarahi Gonzales, followed by a discount on the featured items. The news about the “Retail Apocalypse” is not encouraging, but Fundera has released a new infographic that should give retailers hope. 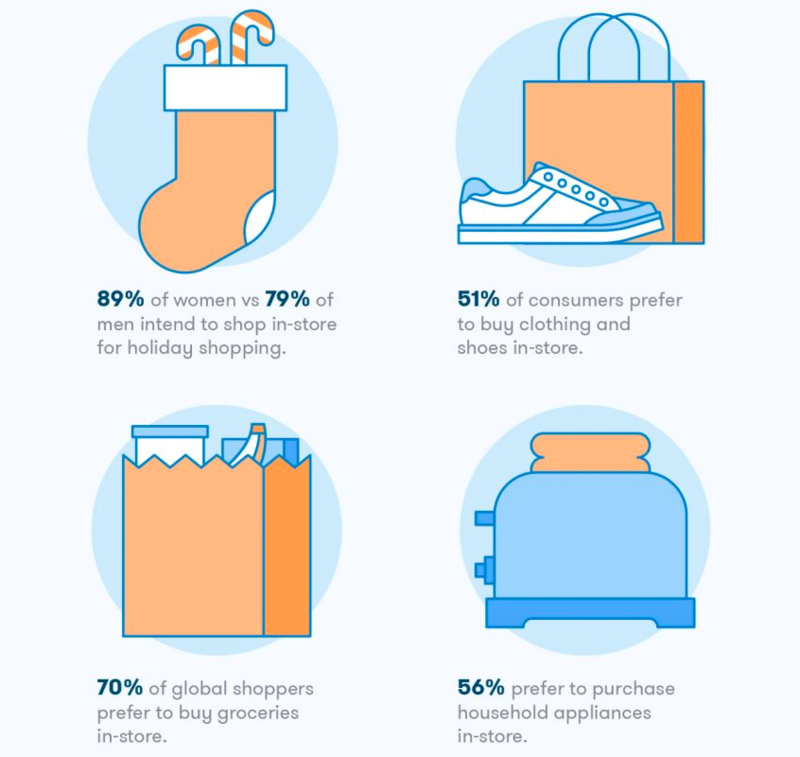 Titled “Retail’s Not Dead,” the report on which the infographic is based says 89 percent of women and 79 percent of men intend to shop in-store for their holiday gifts. You can find more details on the infographic follow to the link. Here is a part of the infographic: Who shops in-store? Nearly 50% of retailers worldwide have adopted Internet of Things technology to some extent. About 79% of retail organizations are expected to adopt the IoT technology, and about 77% of retailers said they believe IoT will transform their sector. Fragrance company Puig unveiled a new stand where travelers can try out new experimental products. Customers who visit the retail stand have the chance to interact with a number of experimental retail items, such as a piece of furniture resembling a vending machine, pre-filled grocery baskets and a Selfie-Station where customers can share their experiences on social media. Puig coined the concept a ‘retailtainment’ station. Two employees will work at the pop-up store to help guide customers through the experience. The pop-up stand features products from Spanish fashion designer Paco Rabenn. “The best way to make consumers visit you is to offer an experience so engaging that customers cannot help but spend time with you! And the more time they spend with you, the more money they will spend”. And yes, it’s again about customers experience and why it’s really important for retailers. Enjoy your reading! Finally, don’t forget: technologies aren’t solutions on their own but only one of the tools to sell more and promote product better. Focus and keep the defenses up.